This was a New Year's Eve activation with WW7D. You can find a .GPX file of our route here. We parked on the side of HWY 2, just east of the turnoff for Smithbrook. This is where everyone who is headed up to Smithbrook for winter sports parks. There were some XC skiiers, and snow mobiles unloading as we pulled in. The WX was perfect - absolute blue bird day with temps in the high 20's. 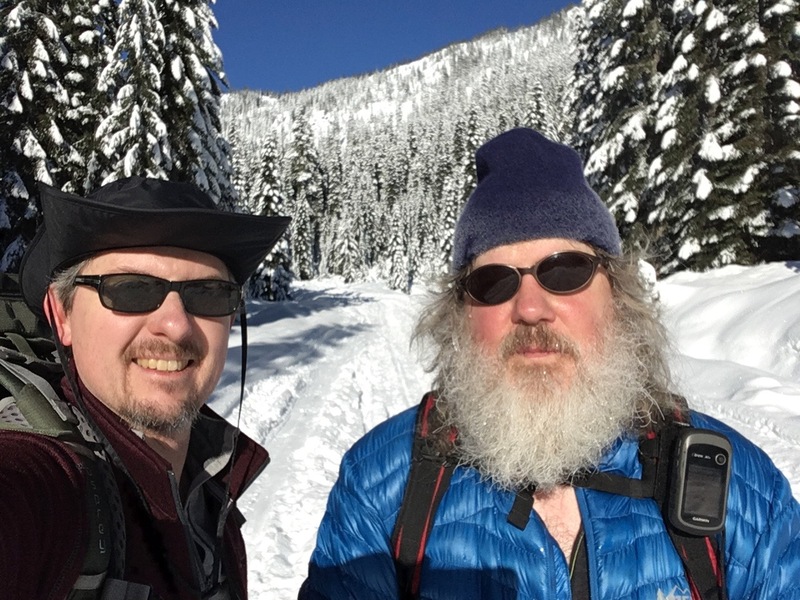 We strapped on our snow shoes and began walking up NF-6700 toward the trailhead to Nason Ridge. From HWY 2 to the Nason Ridge TH was about 4 miles / 1500' gain. 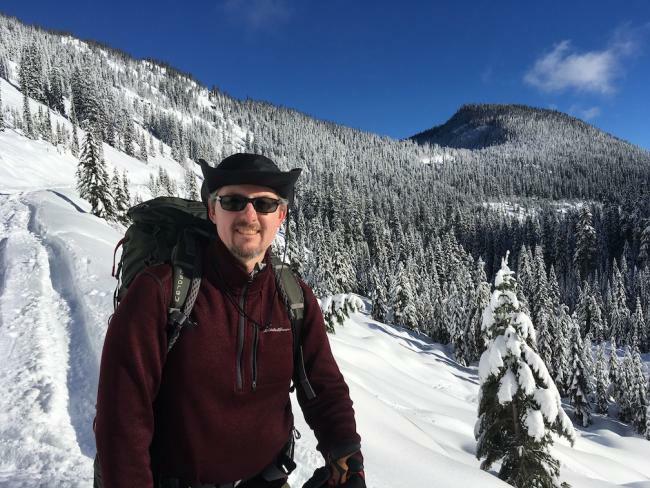 Easy snow shoeing. We saw lots of people snowboarding down some steep slopes and using snowmobiles to get back up for more runs. 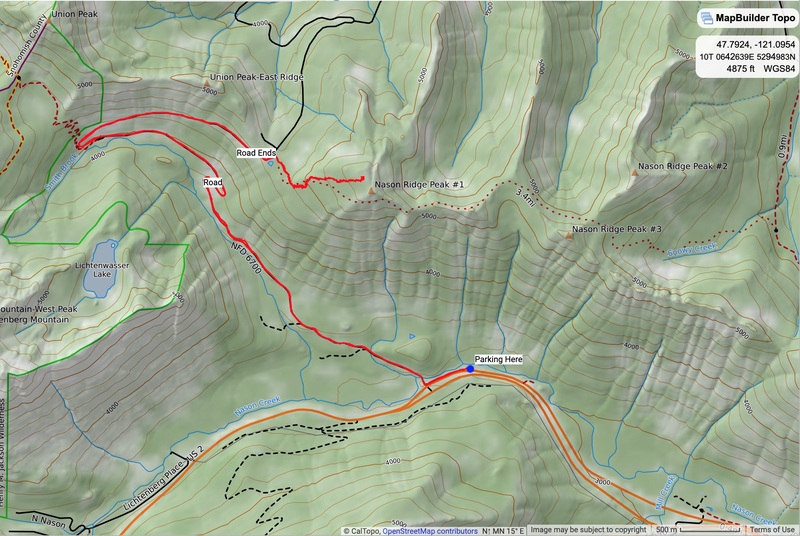 We departed NF-6700 and headed up toward the summit of Nason Ridge. There were tracks for a little bit, but very soon we were breaking trail in some super deep powder. The hike to the summit is less than 1 mile (and another 1000' elevation), but it was TOUGH in super deep / powdery snow. 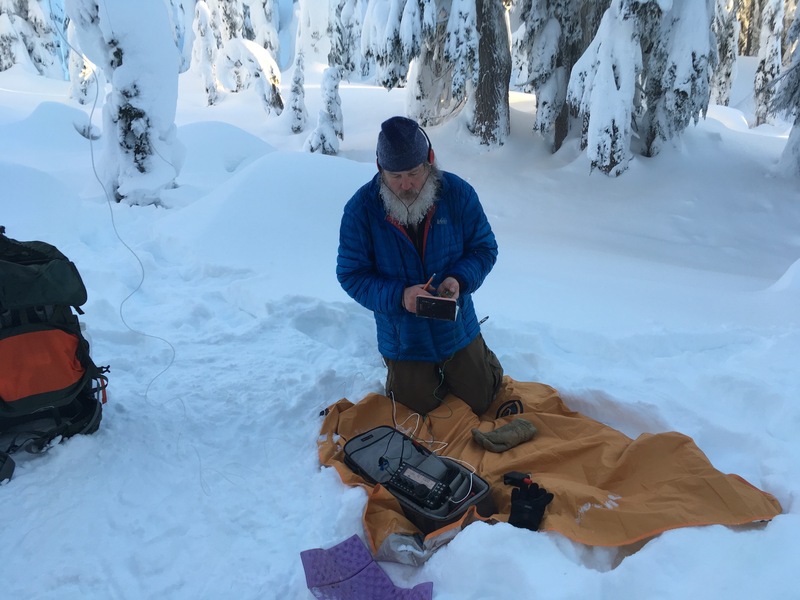 We arrived on the summit and wasted no time getting our HF set up. We made some calls on 146.52, but made no contacts there. The sun was getting low in the sky and the temp was dropping rapidly. We both got cold very quickly despite piling on our extra layers. We almost made it back to the road before it got dark enough that we deployed our headlamps. A couple of hours of slogging along in the dark and we were back at my truck!